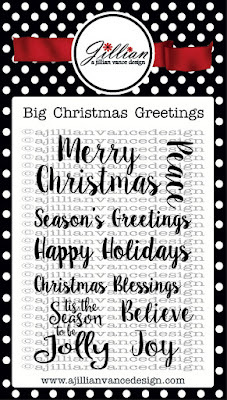 Happy November A Jillian Vance Design Friends..
Annette Allen here with you today to get you into the spirit of Christmas. Like I said before BEST SANTA die EVER! 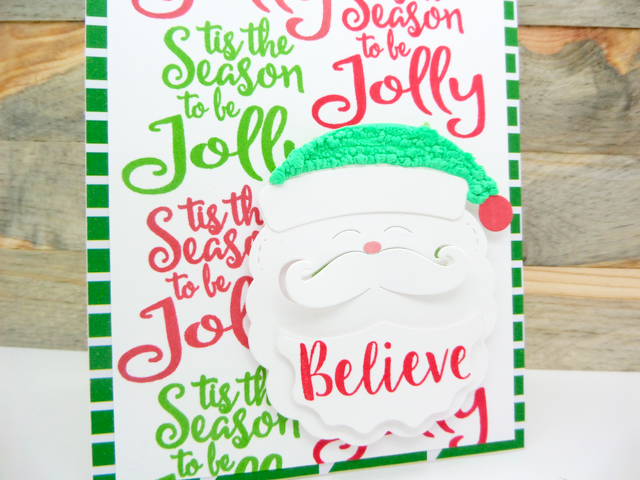 Don't you just love the script on these Christmas sentiments from Big Christmas Greetings? 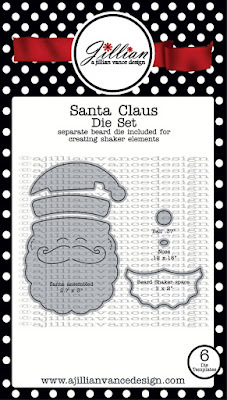 They stamp so perfectly and well you all know how I feel about this Santa die. He is so fun. I added awesome Tsukineko Radiant Neon Amplify to his hat and I love the affect you get when you heat it. 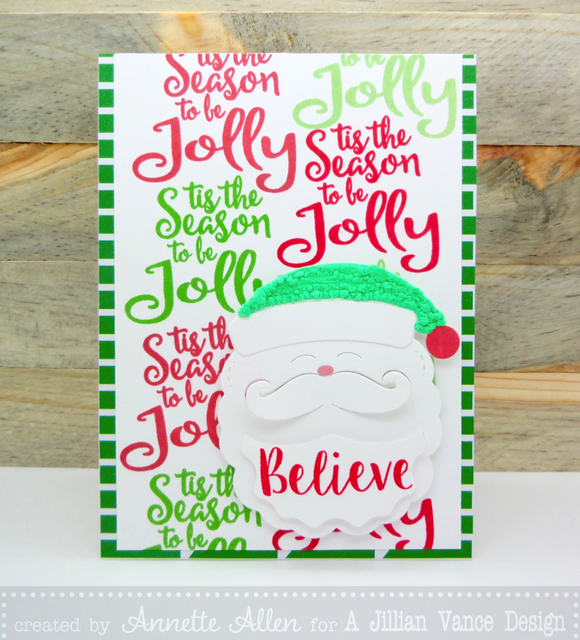 With these cute dies and fun sentiments you don't need much to make a cute Christmas card. Start those Christmas cards now and get ahead. These months are fly by and before you know it... Santa is on his way. Sure looks Jolly~ Love the Big Christmas Greetings!!! Seriously sooo fun and awesome!! Love that Santa! So cute!!!! Love the Santa! The colorful sentiments in the background look terrific!! A holly jolly card for sure! !